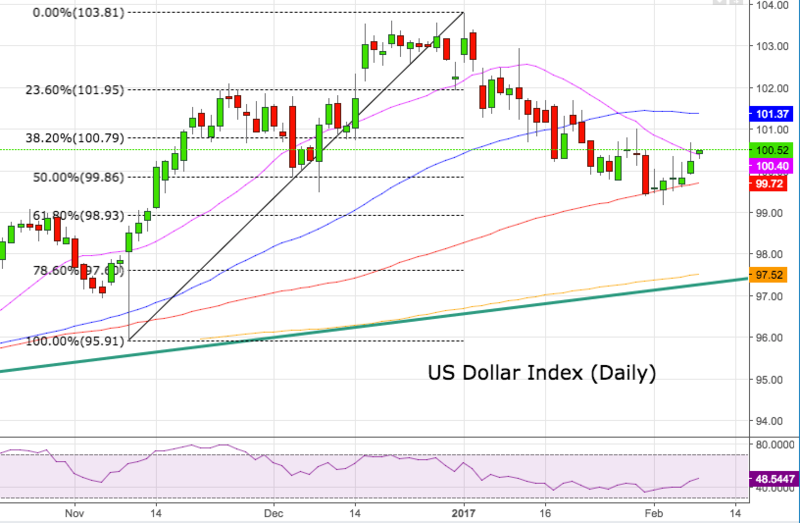 The buying interest around the greenback remains well and sound today, currently flirting with daily tops in the 100.60 area when measured by the US Dollar Index (DXY). The index is extending its upside momentum during the first half of the week, advancing well above the psychological 100.00 handle and already trading at shouting distance from yesterday’s 4-day tops in the boundaries of 100.70. US yields, particularly in the shorter end of the curve keep accompanying the up move, although yields of the 10-year benchmark are trading in the negative ground for the second consecutive session so far. 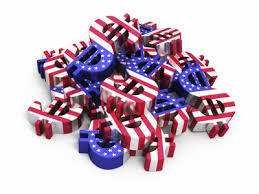 Furthermore, USD seems to have derived extra support from recent comments by Fed speakers. In fact, Philly Fed P.Harker (voter, hawkish) reiterated that a rate hike in March stays ‘on the table’ adding that 3 rate hikes this year seems appropriate, adding to previous comments by Chicago Fed C.Evans (voter, dovish) in the wake of Friday’s Payrolls. In the same line, San Francisco Fed J.Williams (2018 voter, centrist) advocated for a sooner hike. The index is gaining 0.14% at 100.53 facing the next resistance at 100.69 (high Feb.7) followed by 101.02 (high Jan.30) and finally 101.37 (55-day sma). On the other hand, a breach of 99.91 (low Feb.7) would open the door to 99.72 (100-day sma) and then 99.19 (low Feb.2).